When your car looks good, it is more enjoyable to drive. The car painting specialists at our Grand Rapids body shop can tackle any auto body painting job in our state-of-the-art auto painting bay. Normal wear and tear — in additional to accidents, scrapes, trees, deer and other immovable objects — can all combine to damage the painted surface of your car. In addition to keeping your car looking its best, scratches and scrapes in your car’s paint can diminish its resale value. 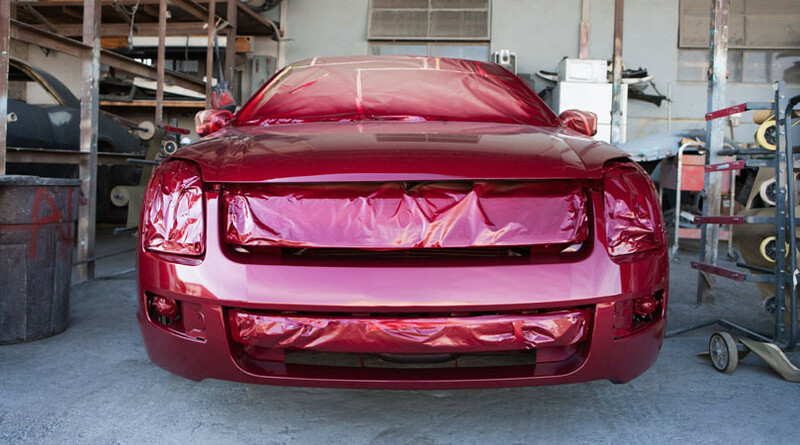 If the paint on your car needs repair, our professional auto painting technicians will restore your car’s paint job to its original finish and shine. Our auto body painting experts know from experience that to complete a great repair, they need to put a great finish on the repair. That is why O’Neill’s Body Shop is proud to use an environmentally friendly paint system — a base and clear coat paint system with low emissions. This allows our Grand Rapids car painting specialists to provide you with an outstanding finish that’s better for you, your vehicle and for the environment. For more information about the auto body painting services at O’Neill’s Body Shop, contact us here or call us directly at 616.949.6840. I have been taking my damaged vehicles to O'Neill’s for over 20 years. They are a diamond in the minefield of body shops. They do outstanding work, are professional, honest and back their work 100%. They go the extra mile to assure your vehicle is done right and on time. There is not another body shop I would consider using in the Grand Rapids area. Payments: We accept Cash, Check, MasterCard, Visa, Discover and American Express. Proudly serving West Michigan car owners for nearly 50 years, O’Neill’s Body Shop continues to deliver quality auto body repair at competitive prices. Learn more about O’Neill’s Body Shop here. Can I get a ride home? What is a recycled part? Copyright © 2018 O'Neill's Body Shop. All Rights Reserved.